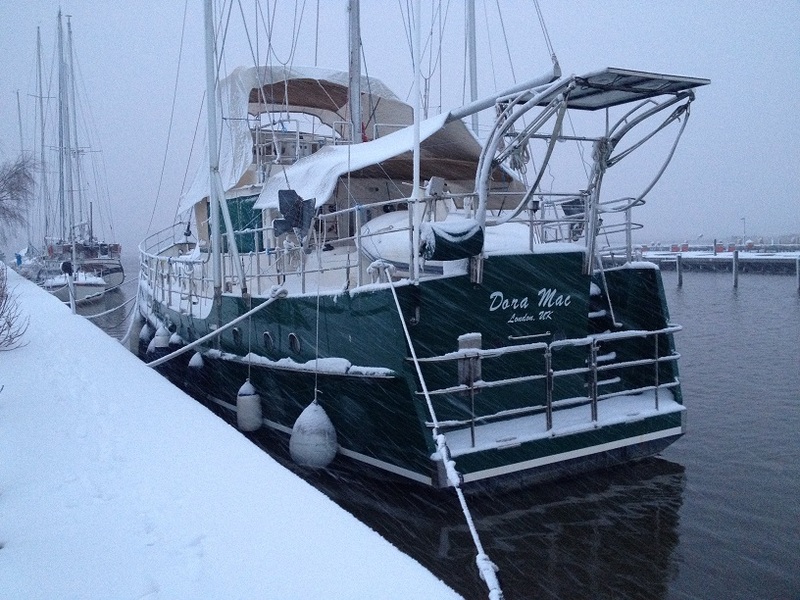 Dora Mac is staying afloat in the river entrance of homeport . With the water constantly moving in the river , icing is less likely. She has also been conserved for months in freezing temperatures , snow and darkness. 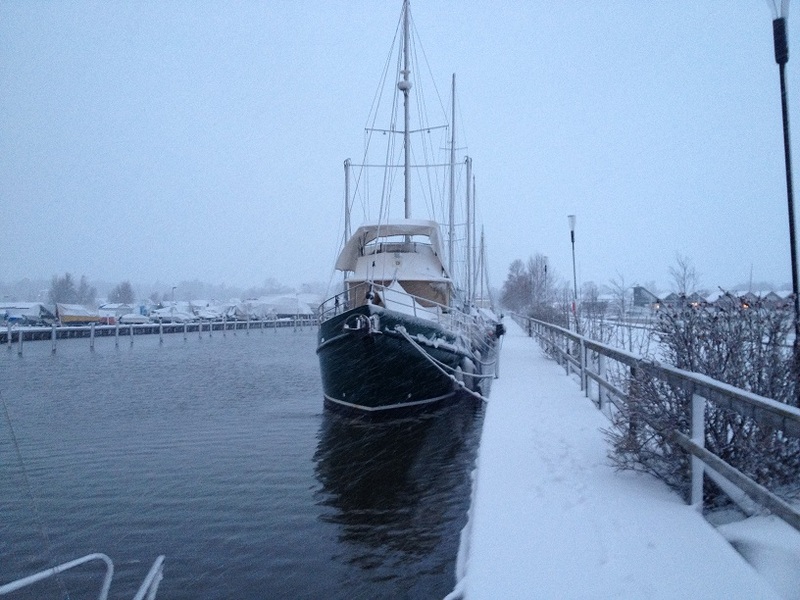 Sails have been stored inside,pilothouse and canvas covered,dinghy stored on deck, outboard taken for service ,domestic watersystem/toilets/deck fittings flushed with non toxic antifreeze, diesel treated with Grotamar , engineroom/forepeak heated with car heaters and dehumidifier placed in the saloon. Some minor projects will take place during the winter (pressuretests of divetanks,new fire extinguishers,reprogramming of VHF radio with new MMSI nr, new TV installation,and some minor service issues). Late spring Randal is back again for some more demanding projects and hopefully DM will be up running late April?